Update: It’s live! Head into Settings>About Phone>Software Updates>Check for Updates to grab it. As a reminder, this is a 2-part update that will take some time to complete. Be sure you have enough battery and time to do it. Look! 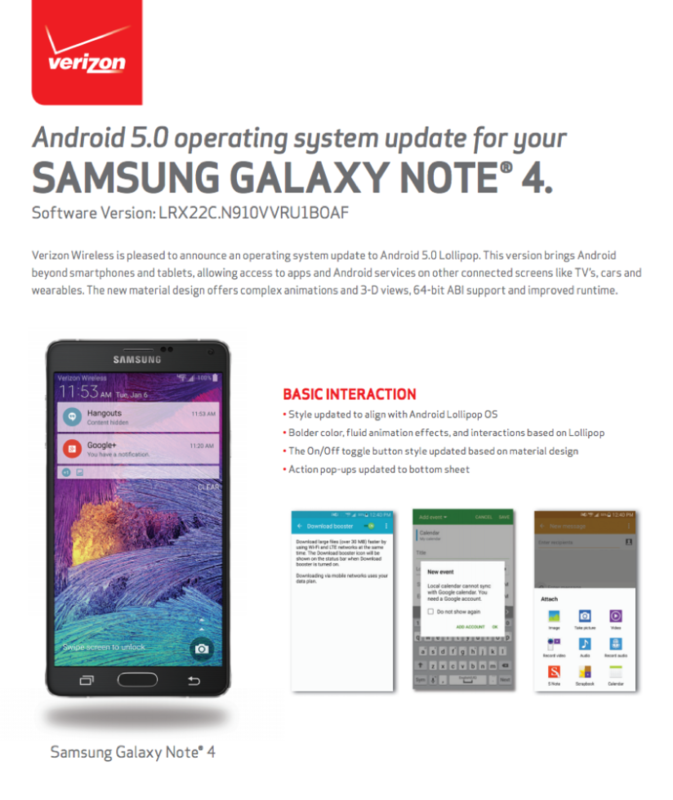 A changelog of the Lollipop update for Verizon’s version of the Galaxy Note 4! It’s happening! According to the date on the document, the update has been approved and should start rolling out to devices as early as today, April 2. The update will arrive in two parts as build VRU1BOAF. 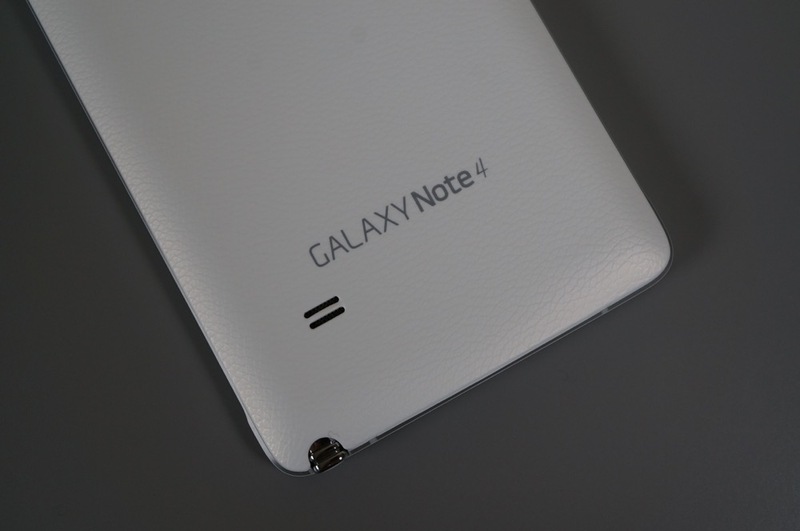 However, because we haven’t actually seen the update on a device, we aren’t sure if it’s Android 5.0 or 5.0.1 or 5.0.2. You will have to confirm that for us. 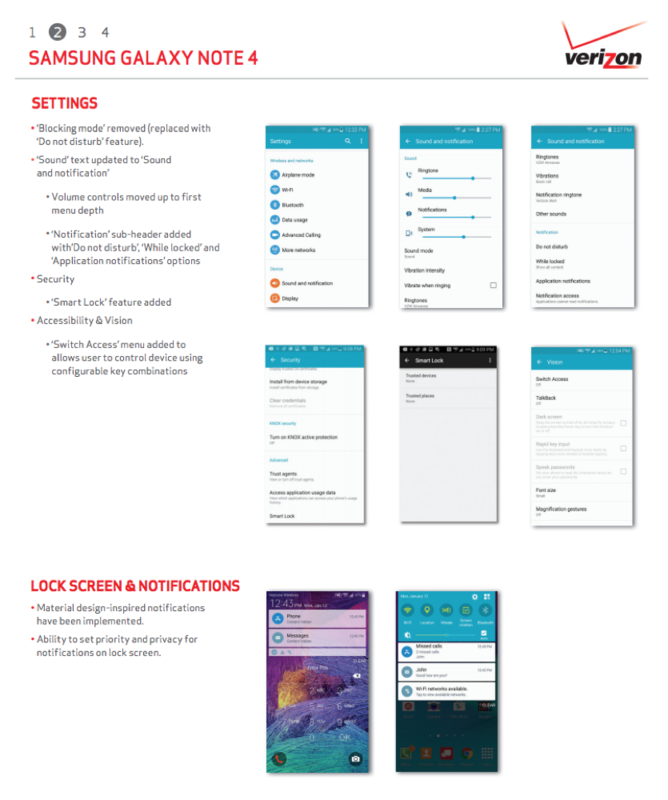 The update is going to be very similar to the Lollipop update for the Galaxy S5 that we gave you a video tour of. You will see an updated style that matches up in theory to Google’s Material Design. 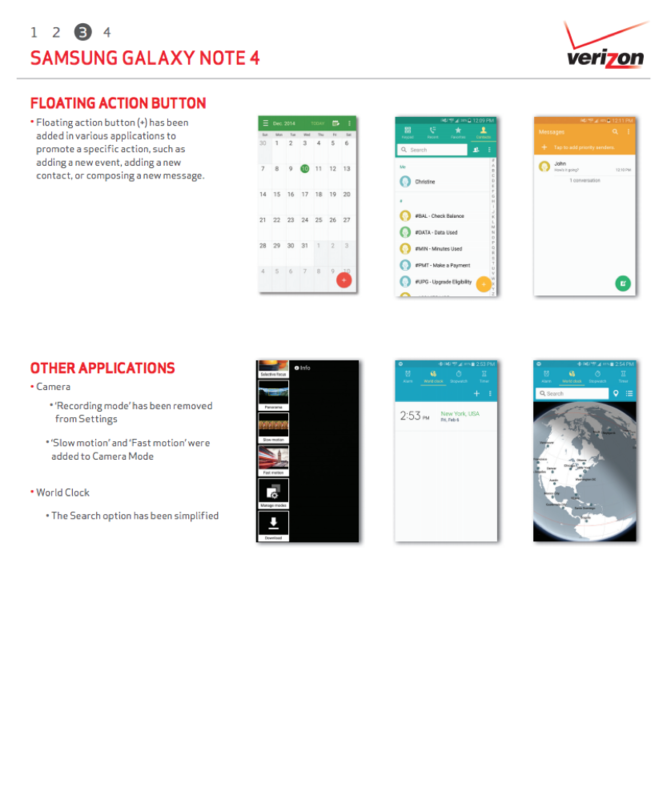 Samsung has also added in Smart Lock, Do Not Disturb mode (removing Blocking Mode), notification interaction on the lock screen, and floating action buttons in apps like Messaging and the Calendar. Outside of the Lollipop-ness, Samsung included slow motion and fast motion camera modes, along with new S Health widgets. 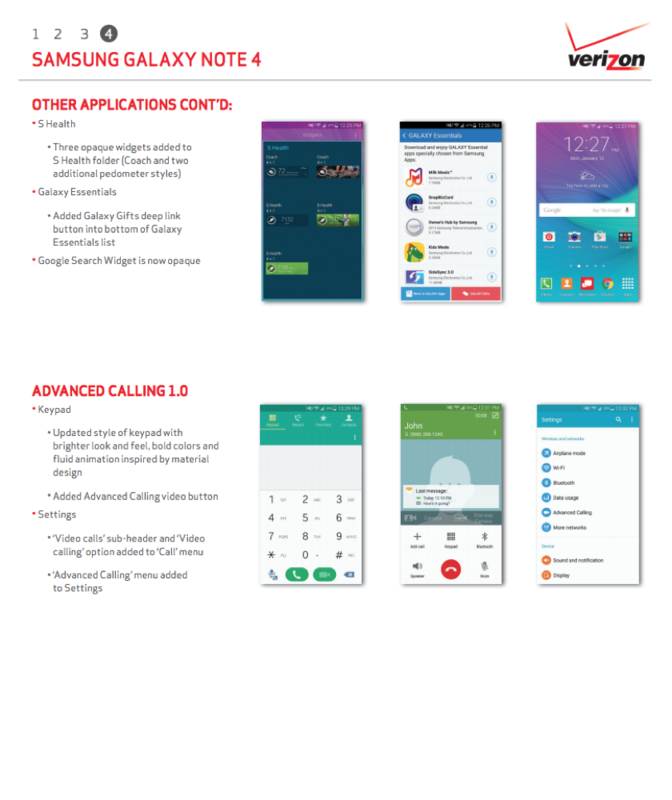 Finally, Verizon is activating VoLTE on the Galaxy Note 4, which means Advanced Calling 1.0 will be a part of the dialer, allowing users to place HD Voice calls and video chat with others who have VoLTE on Verizon.